I received an item that doesn’t look like the pictures on your site. What can I do? While we all would prefer that products always work as expected out of the box, a very small percentage of the time there will be a problem. We're very sorry when this happens but sometimes items just don't work correctly straight from the manufacturer. Usually there's nothing you or UntilGone.com could have done to prevent it. If there is a manufacturer's warranty, the warranty specifics, including contact information, are typically found in the packaging. If you can't find it or if the warranty is through UntilGone.com and not the manufacturer, we'll be happy to provide you with the necessary information. 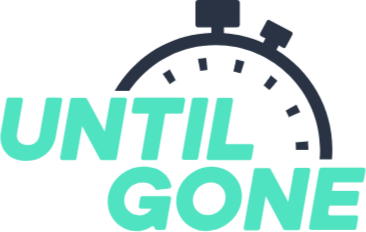 Returns are allowed if UntilGone.com receives your request within 21 calendar days from your order ship date. All returns must be received complete (all original packaging and contents) by UntilGone.com within 14 calendar days after the return is approved. To request warranty information or to request a return for a defective item, please Contact Us with a description of the damage/defect and photos of the product. We will do our best to respond to your email request promptly. If you wish to return a product that is not defective, it is considered a "change of mind" or "buyer's remorse" return. Please do not open the product if you do not plan to keep it. If you decide to return an opened product, we typically can not take it back. If you choose to return a product that is not defective, we do not credit back shipping charges paid on the original order and do not pay or reimburse for any return shipping costs. This policy is different than stores like Amazon, because we do not add in any extra cost to you for returns so we can give you the best price possible on our great deals. The other guys can accept returns without cost to you because they charged more for the product in the first place. Please contact our friendly Customer Support team for authorization and instructions for your return. Some items cannot be returned due to their nature - personal care products and Junk Boxes are two examples. The product description includes warranty information for all products on our site. If a product description includes "Yours to Keep!" or "All Sales Final," the product may not be returned. Computers, laptops, tablets, and phones must be reset to factory settings. All items must be clean, unopened, and in resalable condition to be eligible for refund. Items that appear to have been used, arrive in torn or opened packaging, or smelling of smoke, for example, will not be refunded.